The Hot Water Unit is a compact modular frame unit to provide hot water for various applications with different temperatures. It consists of a water- and steam-regulating system with a PHE for water heating. 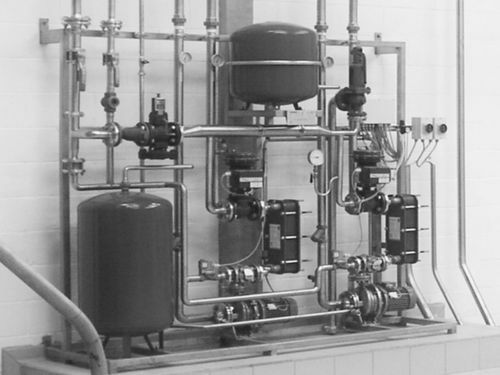 It is completely assembled with water pumps, condensate pump, valves and all necessary piping.